Image credit NSA/JPL Sunspot 822 is shrinking fast, and is no longer a potential source of aurora. 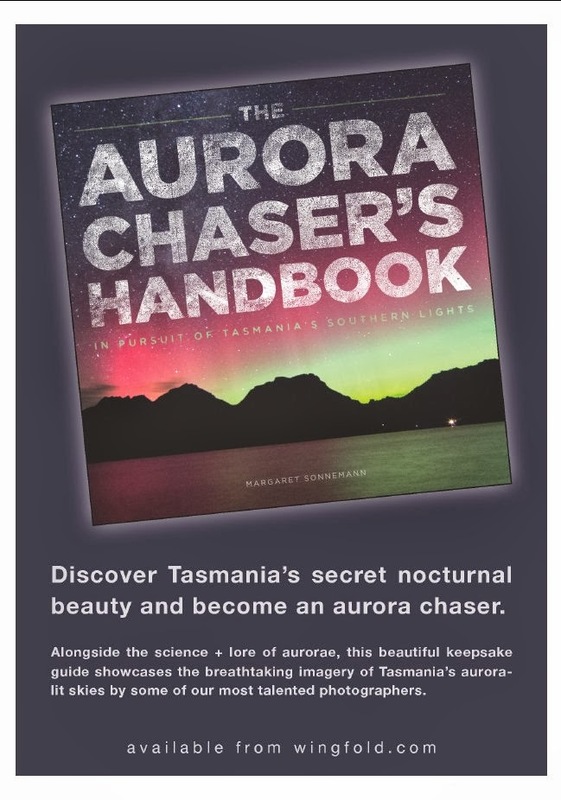 However you still have a chance to catch it using safe solar projection techniques. On the past weekend, Chez Reynella was doing its usual couch potato thing, distributing growing boxes for Trees for Life (that was irony, by the way). 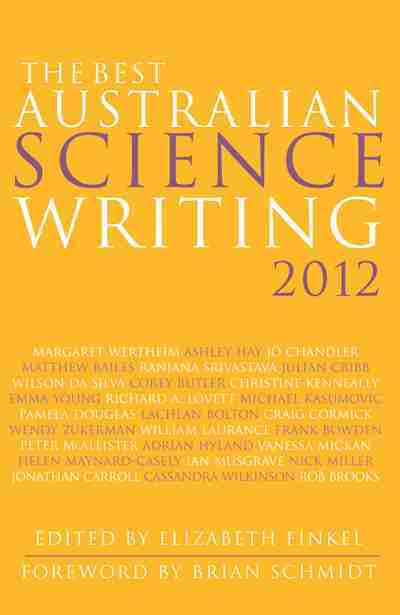 I was trying to mark a pile of exam papers, so I was relegated to making cups of tea, hauling boxes of mulch and trying to stop the kids killing themselves while the Bettdeckererschnappender weisle explained to people how to plant and look after 20 native plant seedlings. 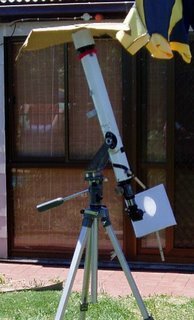 In my tooing and froing I decided it would be a good time for some more footpath astronomy, so I set up my elderly refractor to do solar projection. Sadly, everyone seemed more interested in seedlings rather than sunspots, so the rig sat out all lonely. I took a few shots to show people my ultra-sophisticated set-up (there’s that irony again). 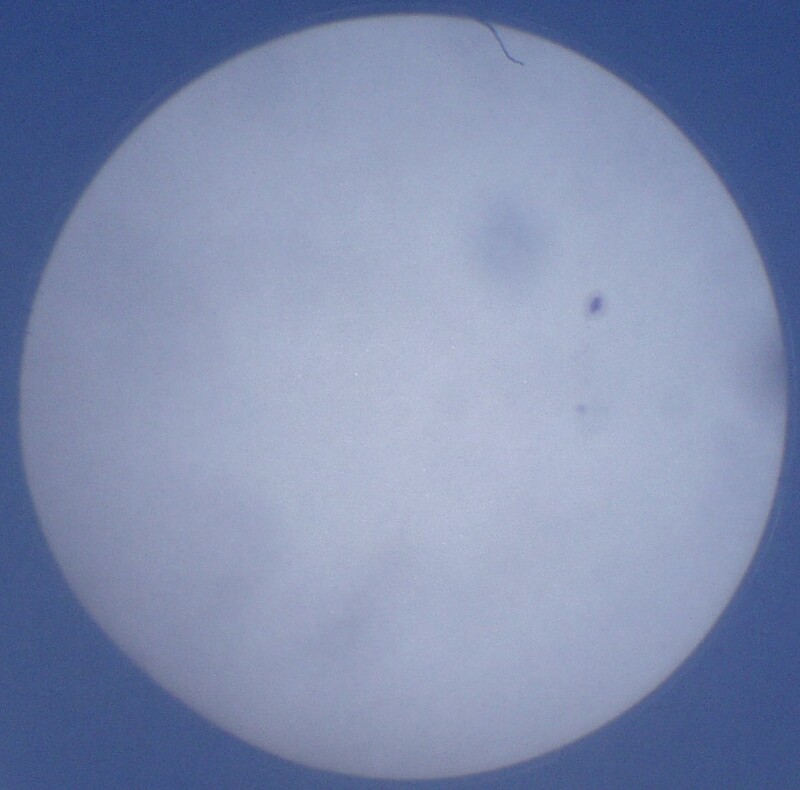 Here is a shot of the Sun as projected through a 50 mm refractor with a 6 mm objective (click the image to enlarge it). You can clearly see the major spot and its umbra, the subsidiary spot, and if you squint you can see the trail of small spots connecting the two. The picture doesn’t do the image justice. The spots were nicely in focus on the screen, but I just couldn’t get the camera to focus on them. This was at least in part due to the wind which was whipping the rig around. (the strange shadows are gunk on the main lens, have to clean that up). This was a case where pen-and-pecil sketching beat photography. So here is the rig. 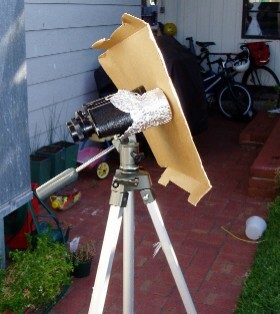 The scope sunshield is made of a Pizza box lid (no expense spared). The projector system is two sets of dowling connected at right angles (glued and taped). A small square of stiff white cardboard was taped to the one arm of the dowling, and the other was taped to the body of the scope. One day when at the hardware store I will pick up some clamps to hold the dowling on properly, but tape is a quick and dirty solution. Except in wind. I used a similar setup to watch the transit of Venus while my reflector was festooned with camera gear, and it worked perfectly. But this day there was a fair bit of wind, which played merry havoc with the projection screen, so it wouldn’t stay straight. Hopefully I’ll have something better rigged up next time. Now here is the binocular setup. I’ve mounted the binoculars on a camera tripod (use old binoculars just in case the heat causes the lens to crack). Make sure you secure the binoculars firmly to the tripod (you can go to the hardware and get a bit of wood, a long screw and butterfly nut to make a clamp) or they will fall off and smash at an inconvenient moment. 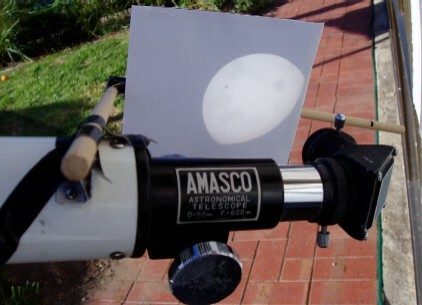 I put foil over one lens while aligning the binoculars, then I use the handy Pizza box as a sunshield. Now, you may say, since I can’t look at the sun, how the heck can I align my scope or binoculars on the Sun. You use the shadow of the scope or binoculars. With the sunshield off you adjust the shadow of your scope or binoculars until it is of minimal size, then viola! 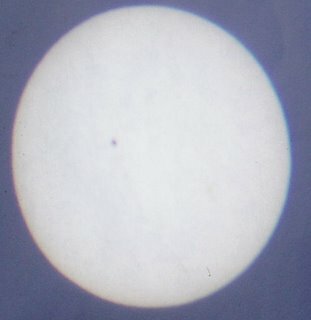 The Suns image will appear, you can put the sunshield on and start observing. This is my shot of the image formed by binocular projection. It's fairly lousy because the wind kept whipping away the screen i was using to project the image on. While not as good as the telescope projection image, you could still identify the major features. We will be seeing a partial eclipse in South Africa at around 05h00 GMT tomorrow. I must be at work then, but I am taking my tripod, binoculars, cards and screens along to show my colleagues. You know what to do with the "at"
My best Mars image yet!